We provide pro bono video production to the Australian environmental, science ecology and animal welfare sectors. The video below that we produced for Birds in Backyards is a good example of our work. 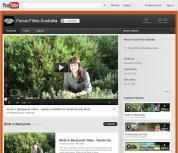 Please visit our YouTube Channel for a showcase of Focus Films Australia productions.